During the past decade, the public’s understanding of accountability in higher education has shifted. 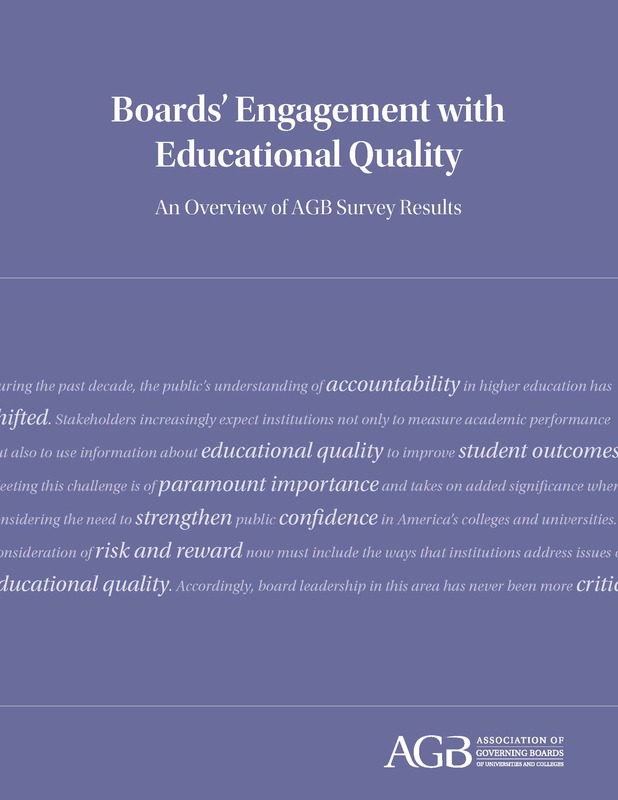 Stakeholders increasingly expect institutions not only to measure academic performance but also to use information about educational quality to improve student outcomes. Meeting this challenge is of paramount importance and takes on added significance when considering the need to strengthen public confidence in America’s colleges and universities. Consideration of risk and reward now must include the ways that institutions address issues of educational quality. Accordingly, board leadership in this area has never been more critical.